It has been a dull and dreary day here in Southern Ontario, and I feel for a splash of colour. Few things thrill me more in spring than to witness, and capture, a beautiful tulip’s evolution from tight bud to blooming flower. It is a miracle, to be sure. 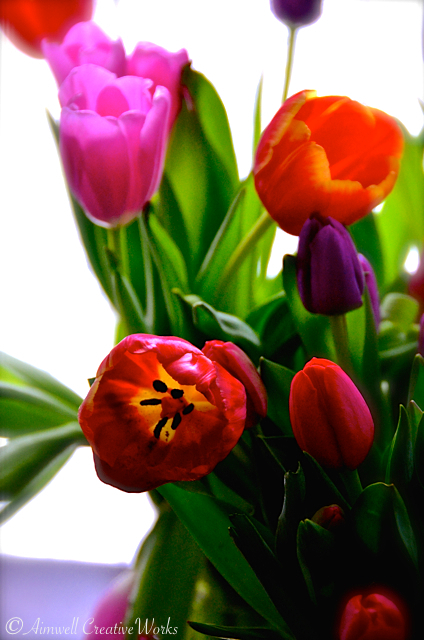 This entry was posted in Flowers, Inspiration, Photography, Uncategorized and tagged Aimwell CreativeWorks, Dorothy Chiotti, flowers, inspiration, Light and shadow, Photography, spring, tulips. Bookmark the permalink.